Few things have as much hold on our attention as our smartphones. Recent research found that an average user touches their mobile phone 2,617 times a day and a heavy user swipes, taps, and clicks more than 5,000 times per day! That’s nearly three to four hours a day of lost productivity. Luckily, there are a few tools that can help save you from yourself. Treat your smartphone addiction with these three apps. OffTime lets you tailor your smartphone use—and its distractions—for work, home, or alone time. The insidious thing about smartphone addiction is that it keeps you from being present in the moment. 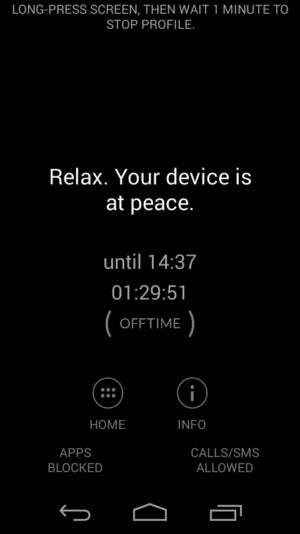 OffTime curbs your compulsions by tailoring your phone options and access to particular scenarios. The app lets you create profiles for things like focused work, time with your family, or alone time, and customize the distractions you want to eliminate for each. 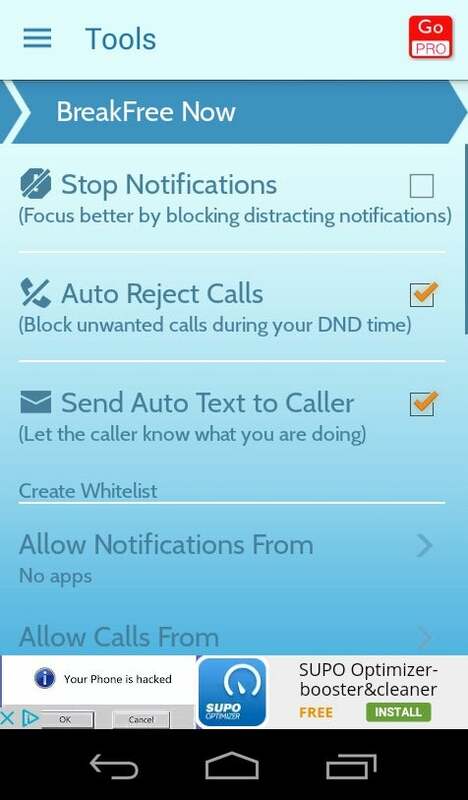 For example, you may want to block particular apps but receive phone calls and text messages during the workday. This strategy allows you to reduce potential diversions without cutting off connectivity altogether. OffTime also provides analytics to help you track your phone and app usage and keep you motivated to build better habits. BreakFree confronts you with cold, hard data about your phone usage to help you change your habits. BreakFree puts your faith in the axiom that knowledge is power. It tracks your app usage patterns and gives you an addiction score in real time. You can then view the stats behind your score—such as your most-used apps and how often you’ve launched them, your call patterns, and other details—and make informed decisions about how to lower your score. To assist you, a serene Buddha-like character named Sato will gently remind you to slow down when you start showing signs of addictive behavior like making an excessive number of phone calls or using a particular app for too long. Ideally, just being confronted with the facts of your behavior will prompt you to dial back your usage. But just in case it doesn’t, BreakFree also includes several phone-management tools like the ability to disable the internet, send auto text replies, and reject phone calls that you can schedule for your busiest times of day. When willpower isn’t enough, Flipd will lock you out of your phone for the duration of your work day. If gentler measures aren’t easing your phone addiction, Flipd may be the tough love you need. The app offers two different modes, one even more restrictive than the other. 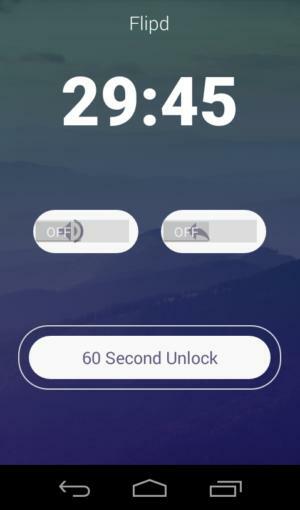 The first is a “casual lock”— a Pomodoro-like timer that challenges you to abstain from your phone and focus for a specified period of time. If that doesn’t work, there is the “full lock” and it’s as severe as it sounds, hiding all your apps and locking you out of your device for a duration of time you set beforehand. Even rebooting your phone won’t disable the app. Because it’s so prohibitive, it’s recommended for only the most incorrigible offenders.